There is London and there is the City of London which in fact is a city and county inside of London itself. 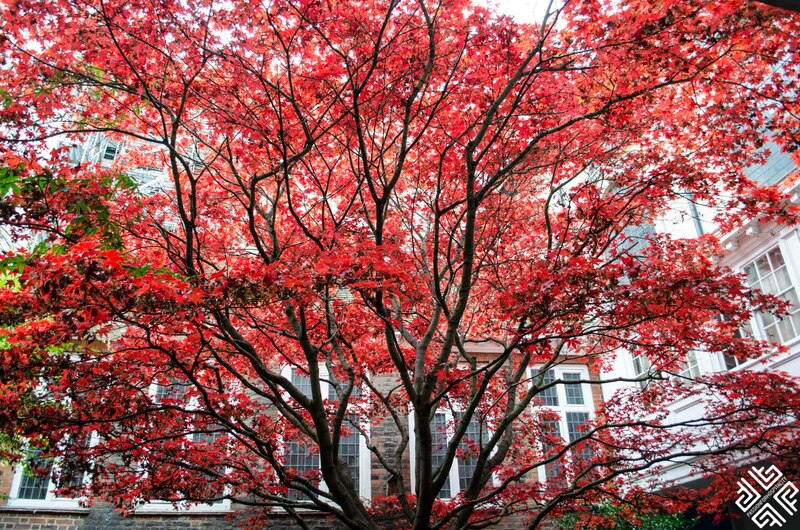 Over the years I have walked the streets of London on numerous occasions, but as in every great city there is something new to discover. 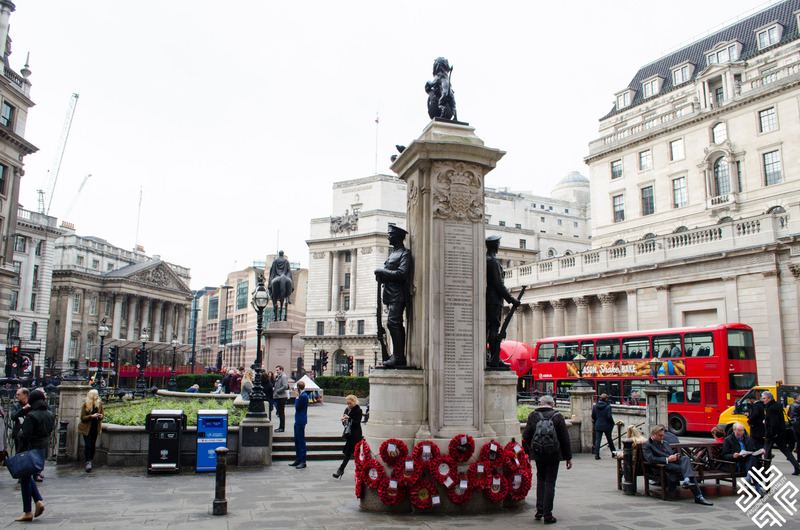 A walking tour with a Blue Badge Guide is in fact the best way to immerse inside the history and culture of a place and to go beyond the surface. 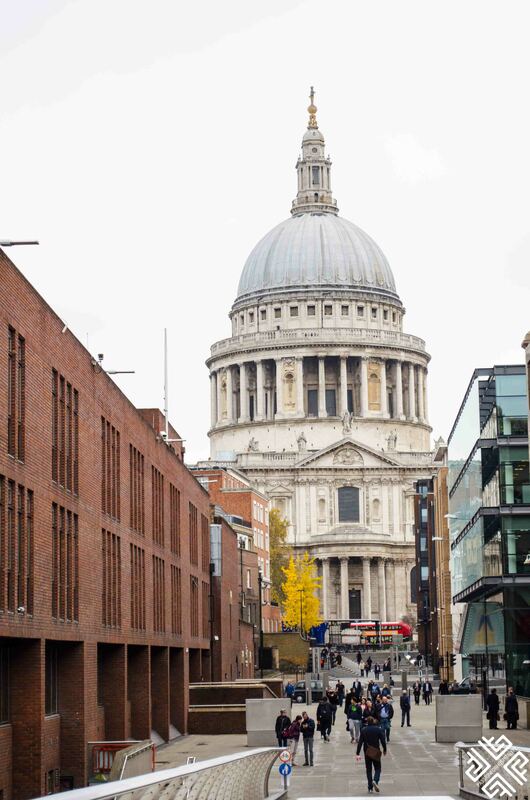 The meeting point of our walking tour with Ainura Bertram an accredited Blue Badge Guide was just next to the St. Paul’s Cathedral. 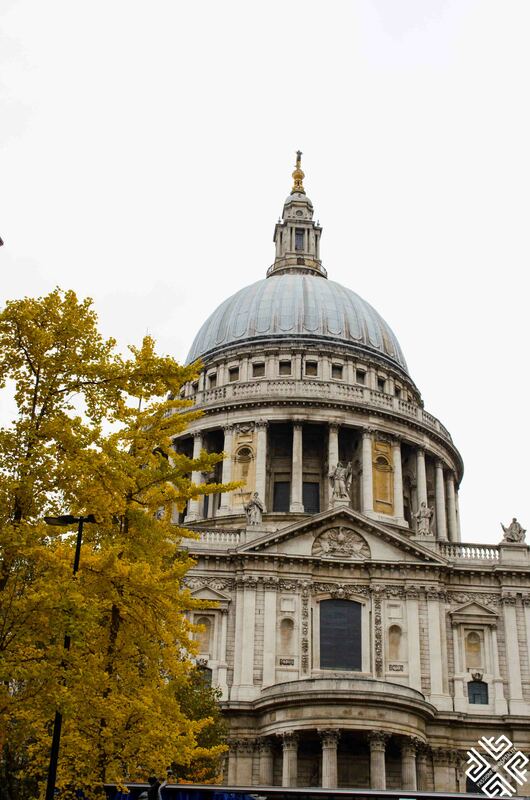 The cathedral stands proudly on the highest hill of the City of London and is one of London’s most important landmarks. 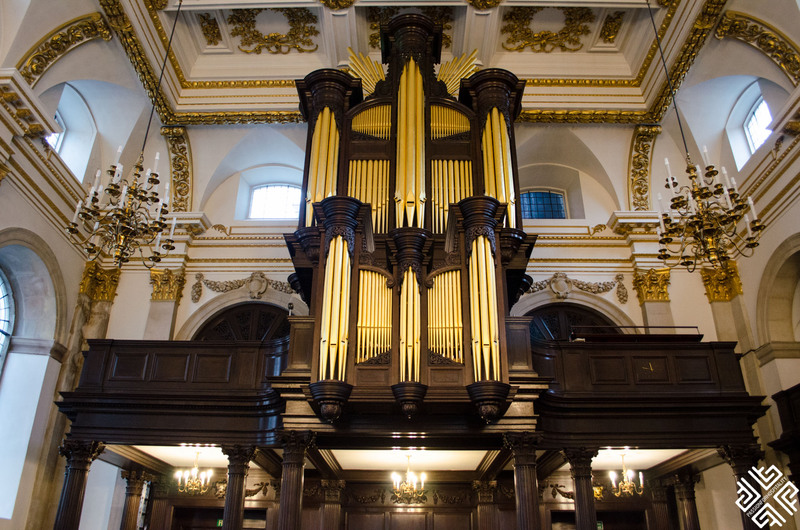 A lifetime project completed by one of the most highly acclaimed architects in England, Sir Christopher Wren who was also responsible for rebuilding 52 churches in the City of London after the Great Fire in 1666. As Ainura explained it took him 35 years to complete his masterpiece which houses one of the world’s highest domes. 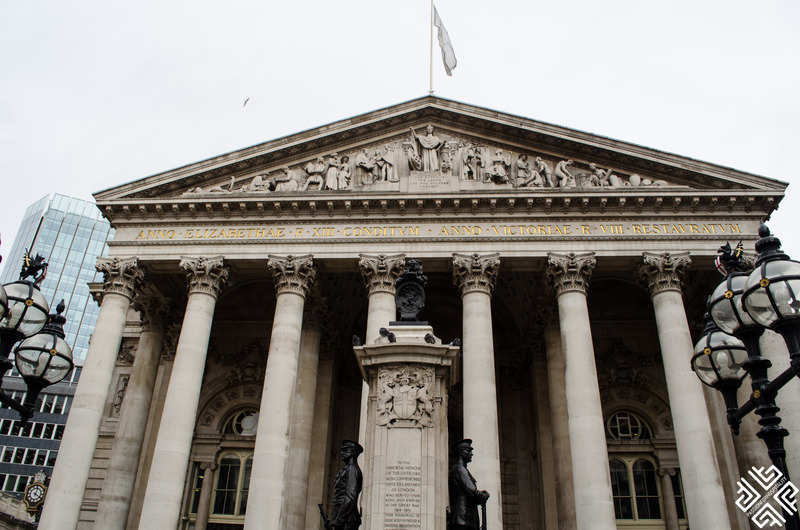 We then turned to the Cheapside street, the historic and modern financial centre of London which once was the market place that led all the way to the Tower of London. In the medieval English, cheap meant market and many of the streets that lead into the main street were named after the produce which was once sold there. 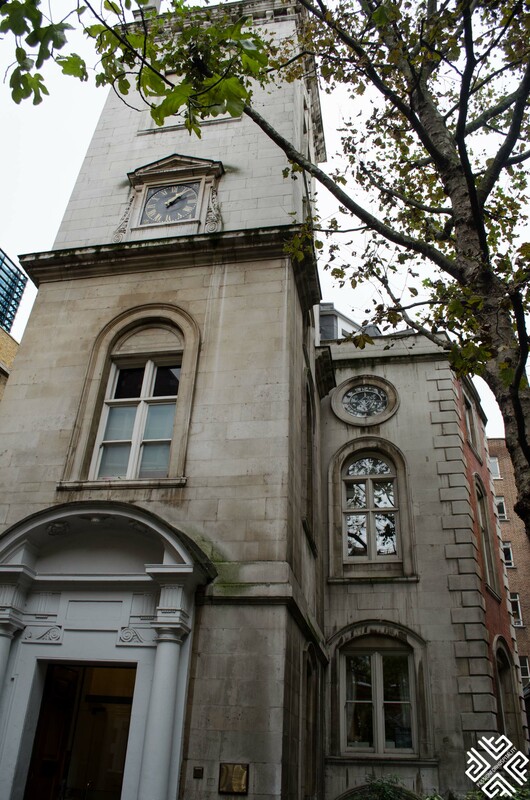 Over the centuries Cheapside was cited in a number of novels including Charles Dickens, Jr. Dickens’s Dictionary of London and Jane Austen’s novel Pride and Prejudice. William Shakespeare used the street as a setting for a few of the scenes in Henry IV, Part I. 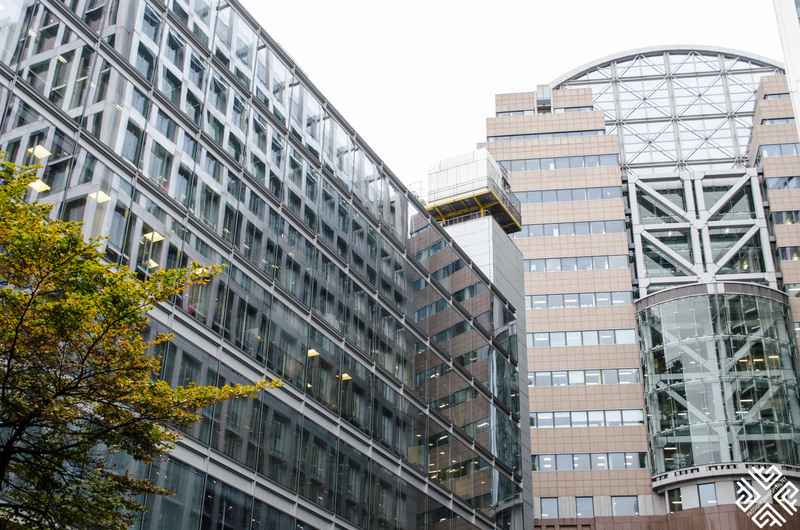 Today Cheapside is lined with offices and retail outlets. 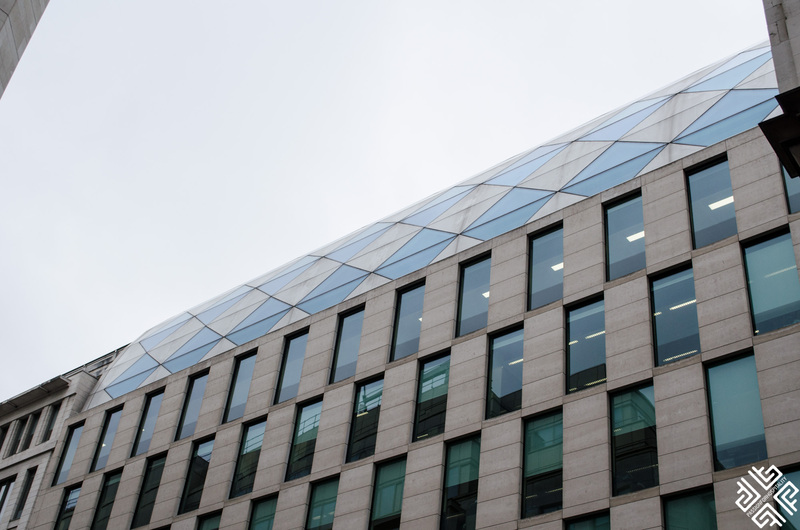 One of the modern projects located here is the One New Change completed by the famous French architect Jean Nouvel in 2010 and is the largest shopping centre in the City of London. 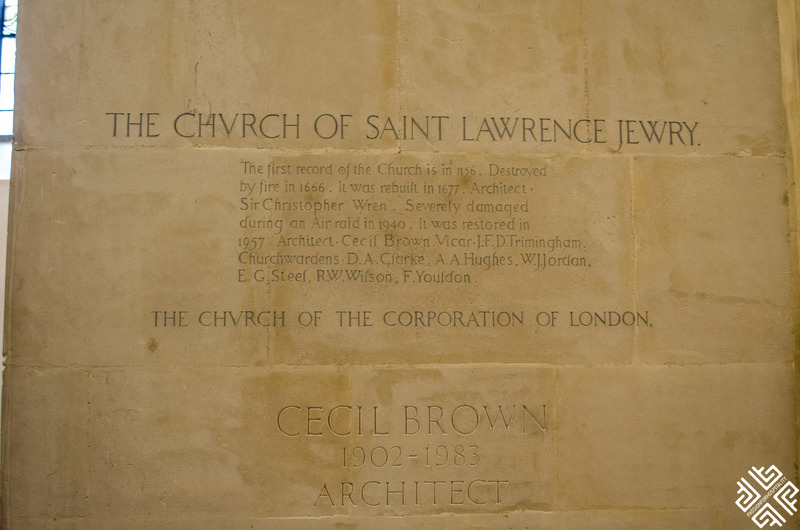 The challenging goal presented to the architect was to develop a building which would not obscure the view of the St. Paul’s Cathedral. 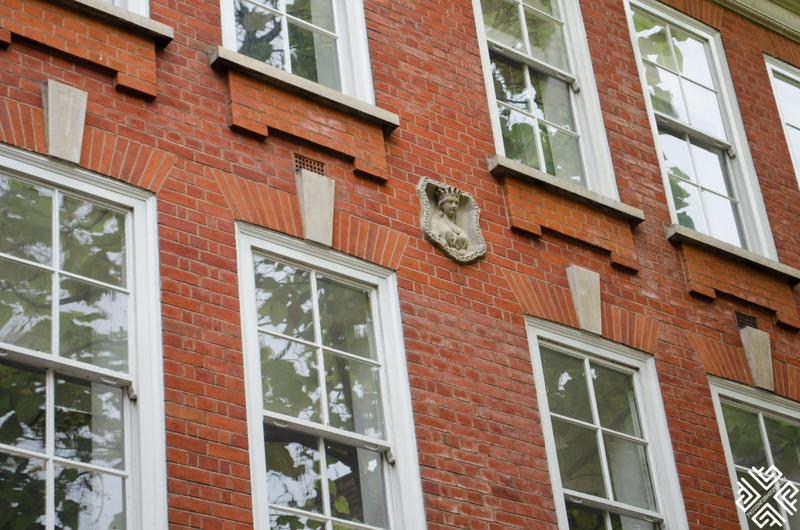 One would actually be surprised that inside the city which is nowadays characterised by its financial buildings and corporate offices, one can step back in medieval time, find an afternoon retreat in one of the beautiful church gardens and enjoy an organ concert or simply a hot cup of tea or coffee. 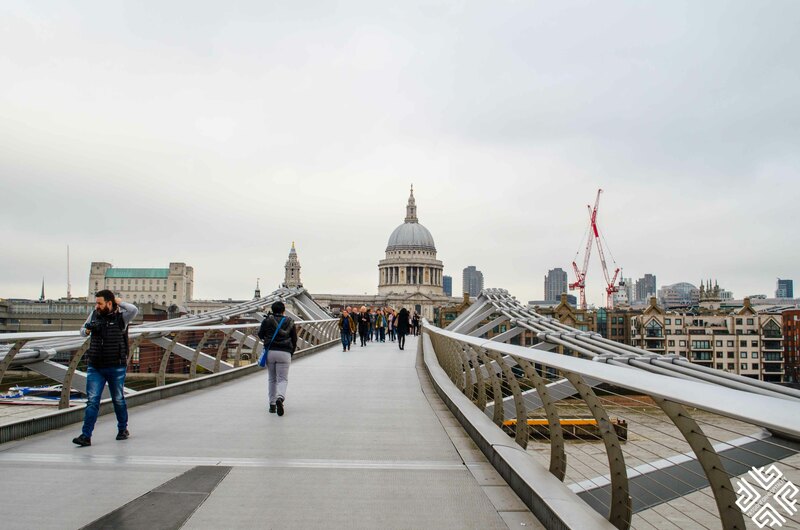 Standing between the historical banks you will come across a harmonious blend of modern architectural marvels completed by famous architect such as Norman Foster, Bowellism master Richard Rogers and Terry Farrell. 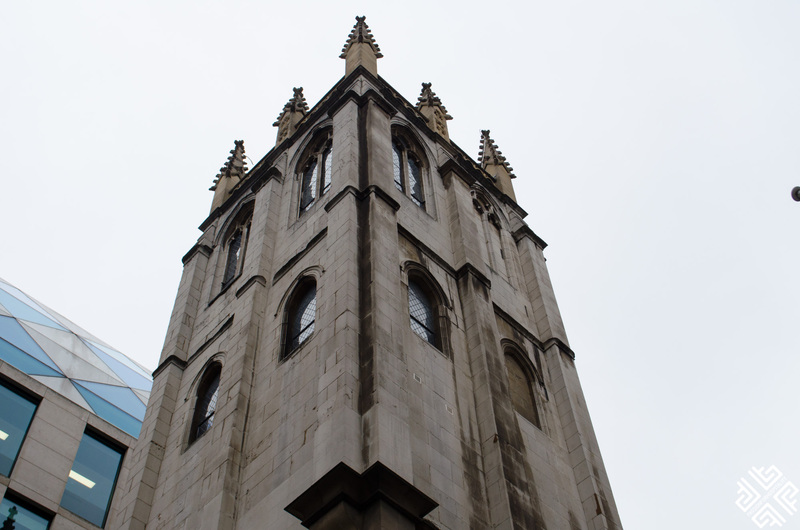 Some of the historical churches found here were in fact turned into apartments. 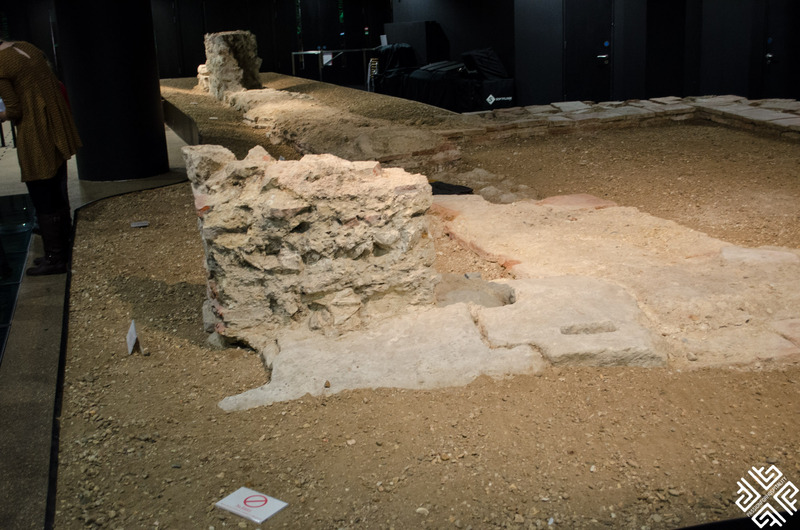 Inside the bustling financial district you will also come across the remains of the Roman London. 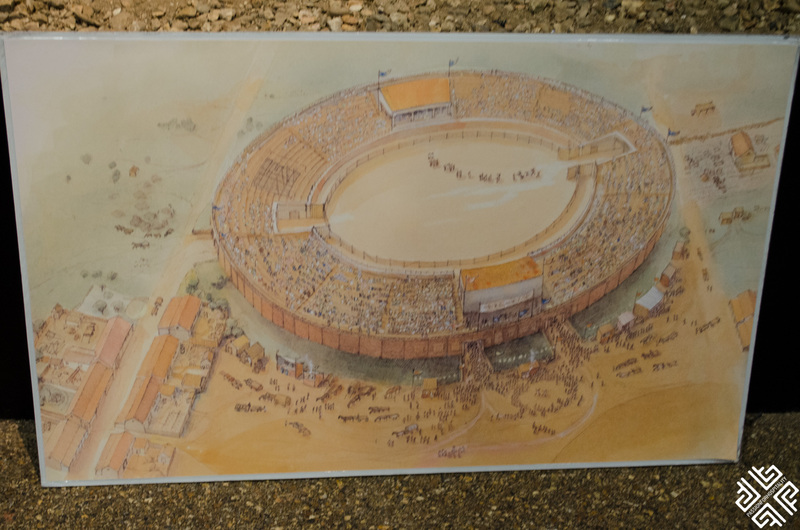 Although the Romans have left little or no trace of how the city was founded, many historians believe that it must have been much earlier than 43 AD. 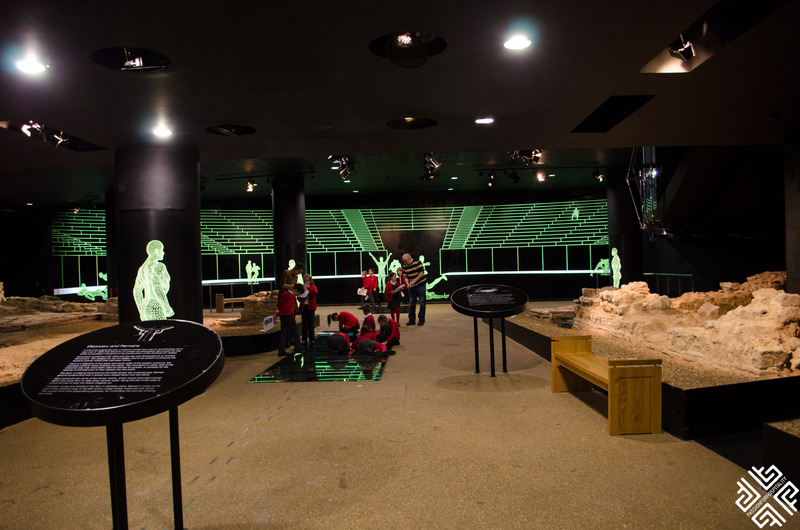 At the Guildhall Art Gallery we witness the remains of what was once a Roman Amphitheatre which has long been buried under the modern city. 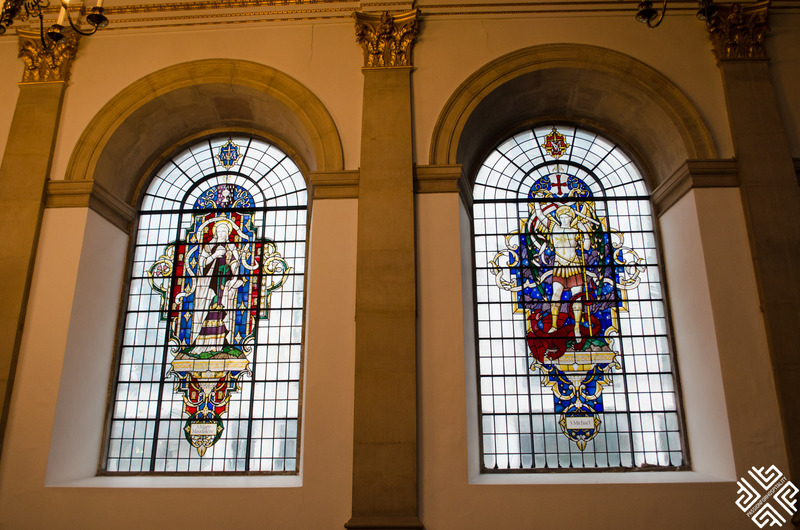 Dating back to the Middle Ages the livery companies kept close ties with the Church of Rome. 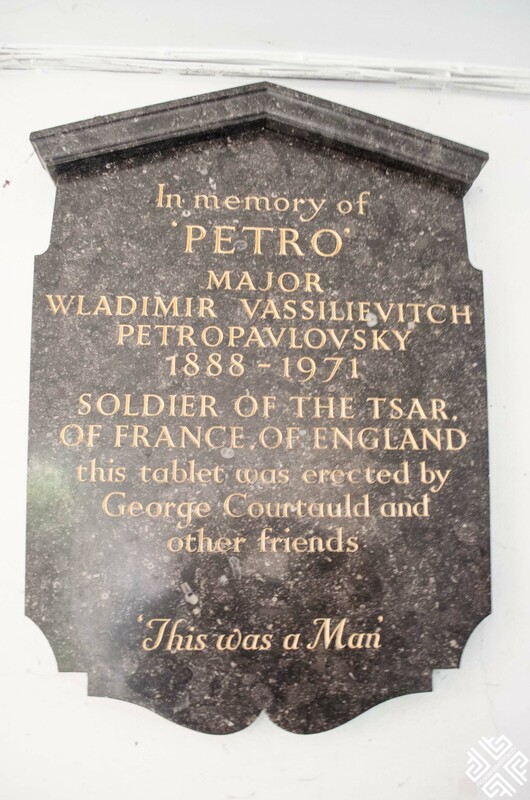 They acted as the modern associations and guilds that protected their respective craft and profession. 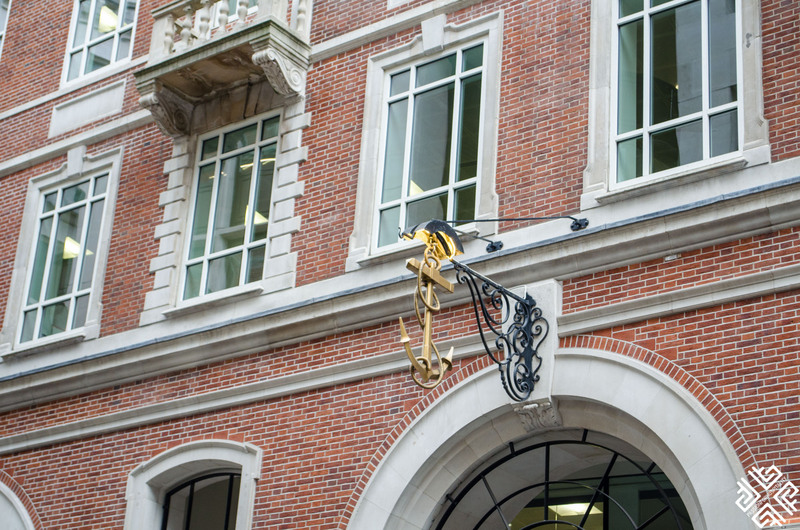 Currently there are 110 livery companies in the City of London and some still exercise powers of regulation. 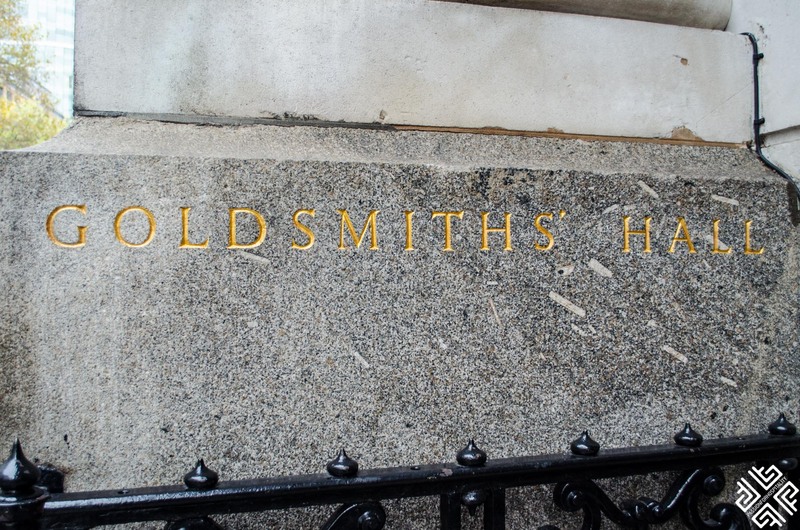 The Worshipful Company of Goldsmiths is on the list of the top 12 most influential Livery companies in the City of London till this day. 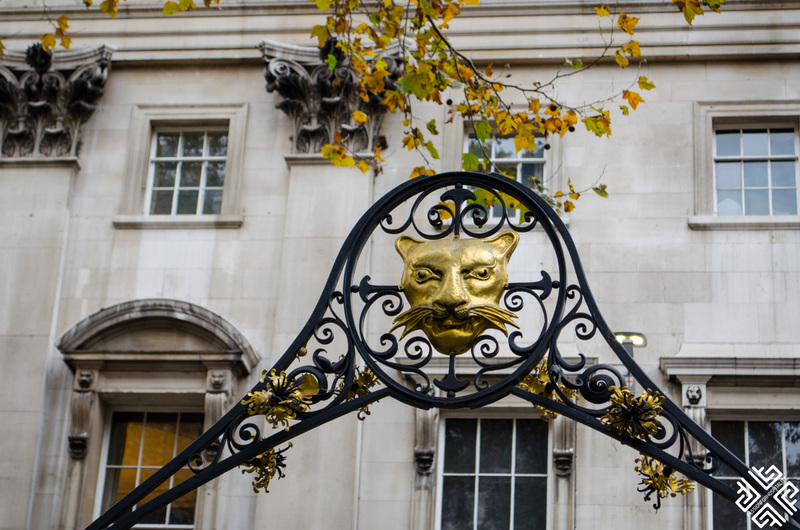 Ainura pointed us to a leopard head explaining that each Livery Company has its own distinct coat of arm which can be found on the building and gates around the City of London. 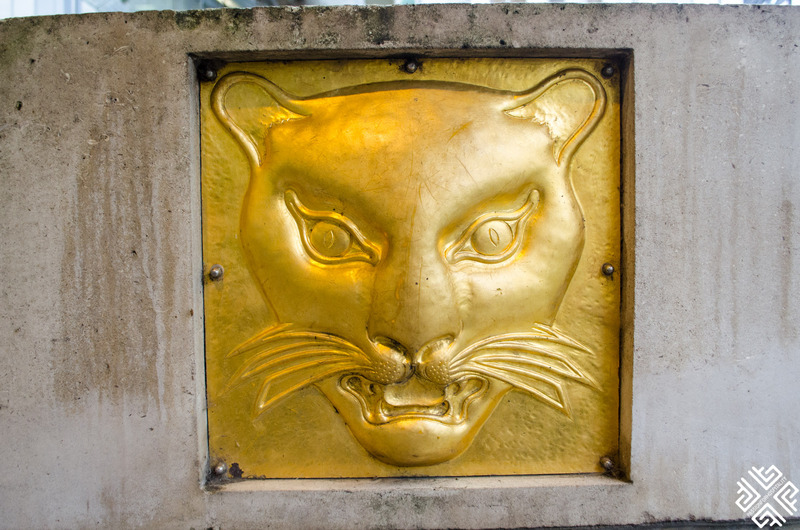 When you see the symbol no questions asked you will know who is the building’s owner. 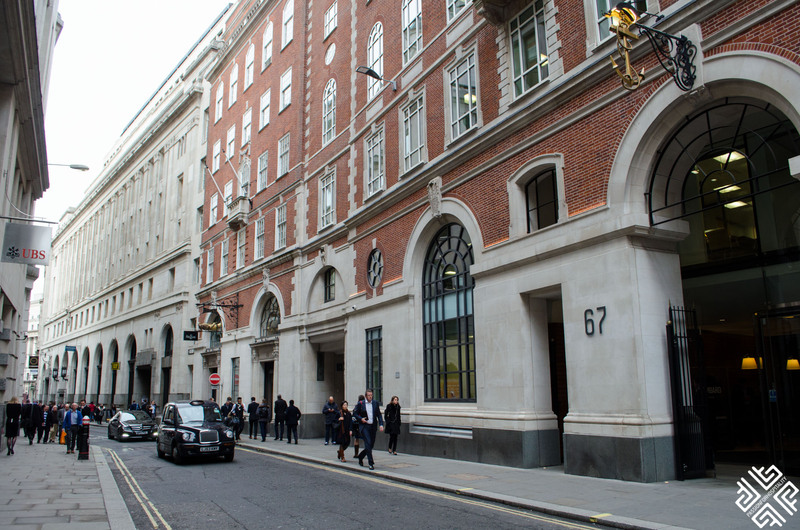 The Mercers Maiden which has been featured in various forms belongs to the Worshipful Company of Mercers, the premier Livery Company in the City of London which trades luxury fabrics and are exporters of wool. Back in the days when people did not know how to read they would recognize the buildings by their coat of arms. 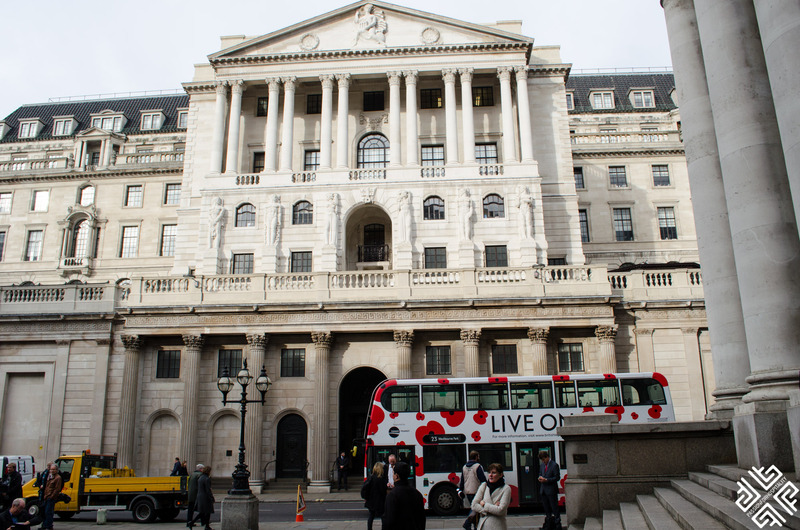 The City of London is the financial district of London. Over 400,000 commute to the City on a daily basis where its residential number is rather small, approximately 8,000 people. 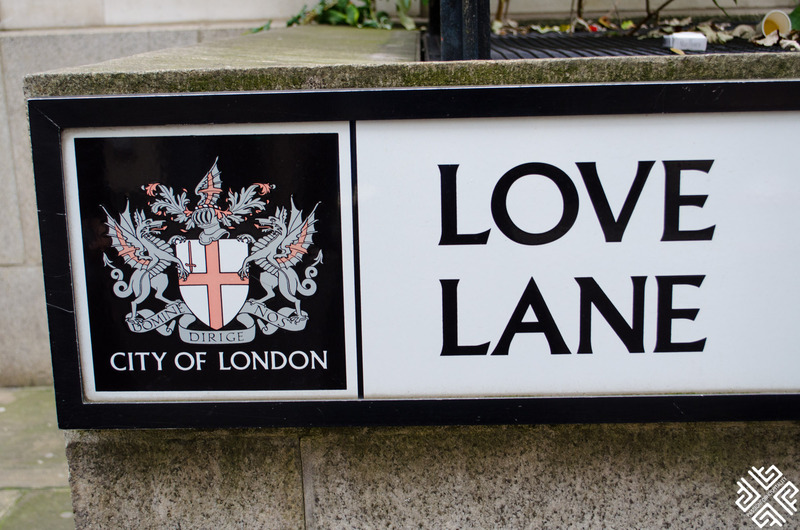 The City of London is run by its own local government, the City of London Corporation which elects its dedicated ambassador, the Lord Mayor for a period of one year. 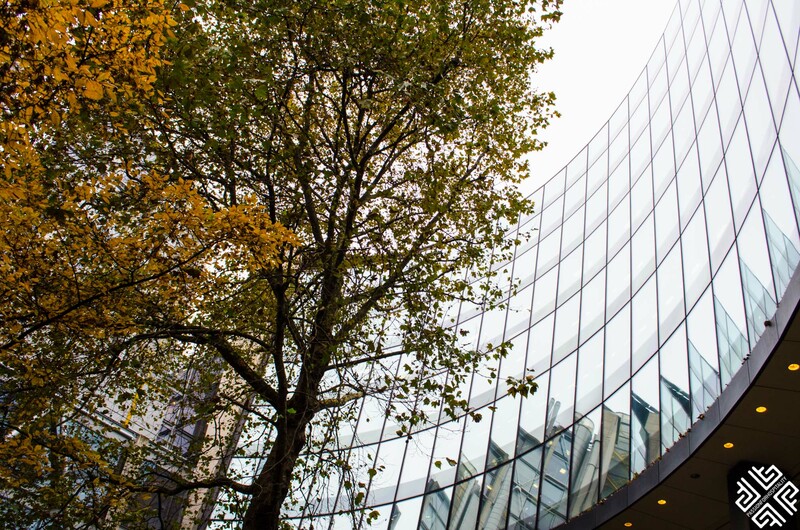 This is not a paid position and only someone who is wealthy enough can afford to apply for this position to act as the world leader in international finance and business services. 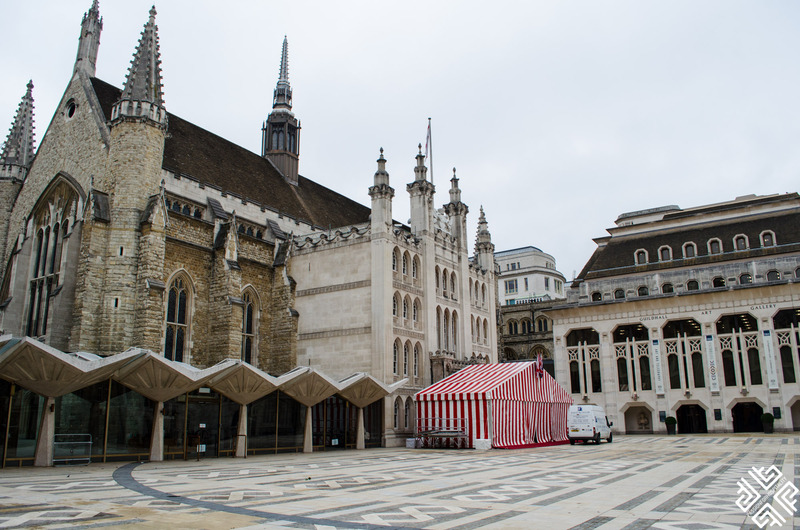 The Lord Mayor is elected each year on Midsummer’s day by the City livery companies. Their service runs from September to September. 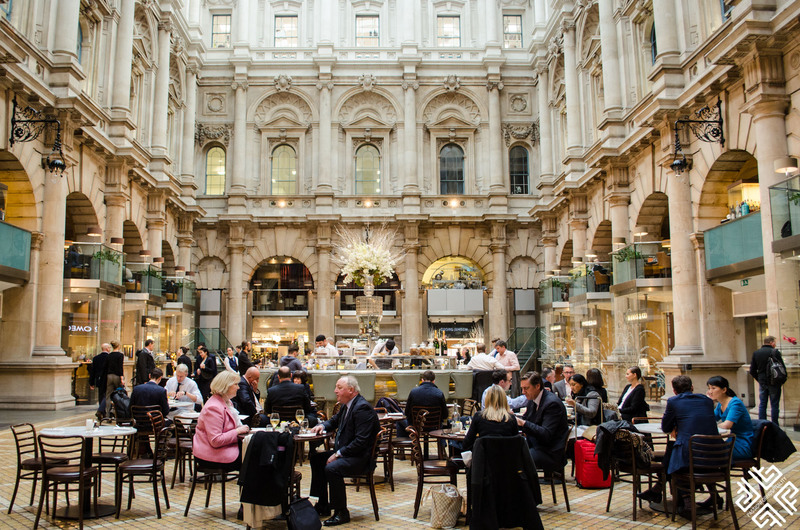 In the heart of the City stands an imposing historical building, The Royal Exchange which was established by a wealthy merchant Sir Thomas Gresham as London’s first purpose-built centre for trading stocks. 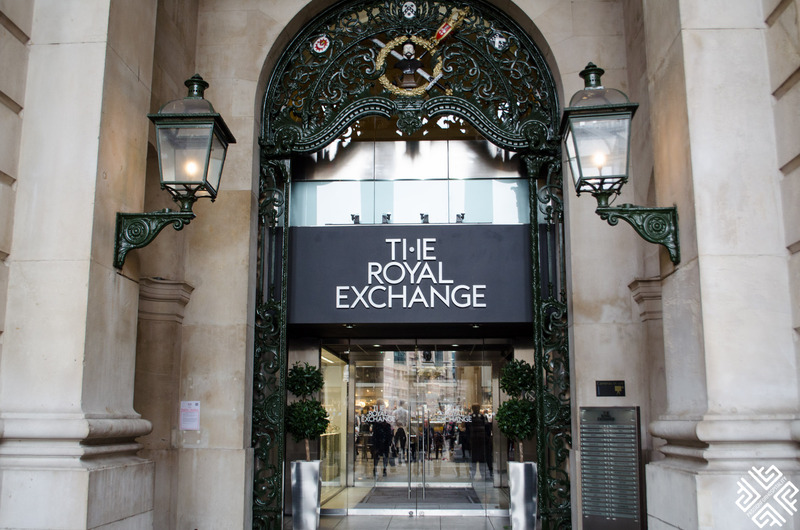 Today The Royal Exchange serves as a luxury shopping and dining destination for the respectable crowd. 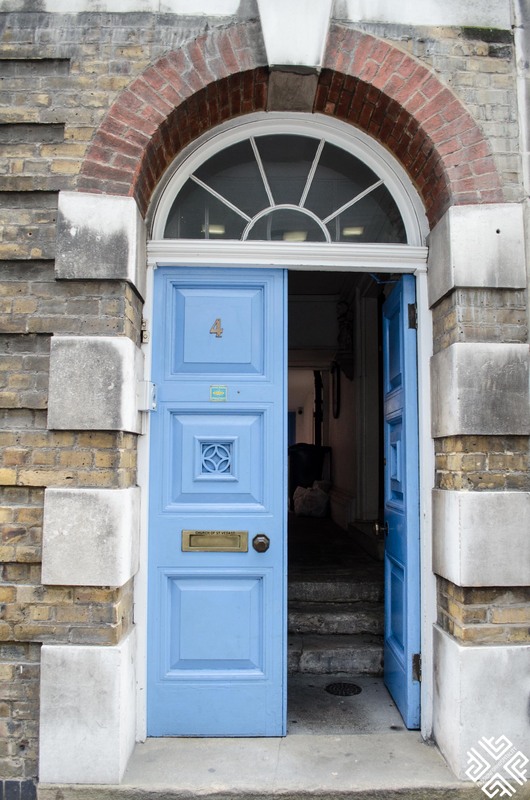 If you are looking to get the most out of your time in London then a tailor-made guided tour with a qualified Blue Badge Guide is definitely recommended. I am always fascinated to learn about a destination from a local perspective where you actually have the chance to interact with the guide and to pose questions which are of interest to you. Ainura is accredited by the Institute of Tourist Guiding which is a professional membership organisation, committed to developing, maintaining and promoting professional standards in tourist guiding. Ainura speaks Russian and English. Tailor-made tours available upon request. 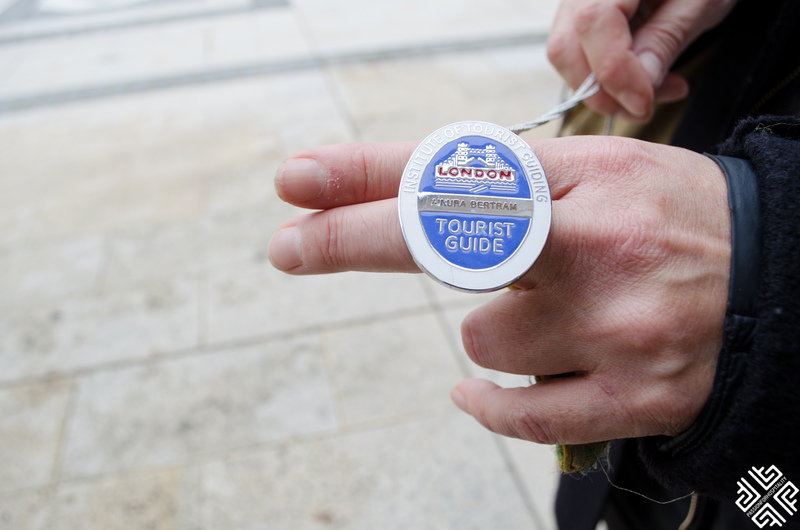 *Passion for Hospitality was a guest on the tour arranged by Visit London, all opinions expressed are my own. 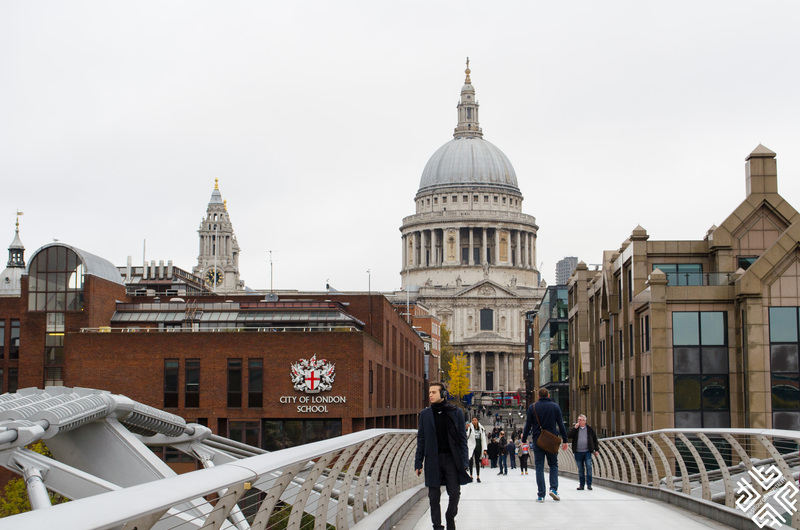 Have you noticed the fascinating mix of modern and historic City of London? Share your experience below. 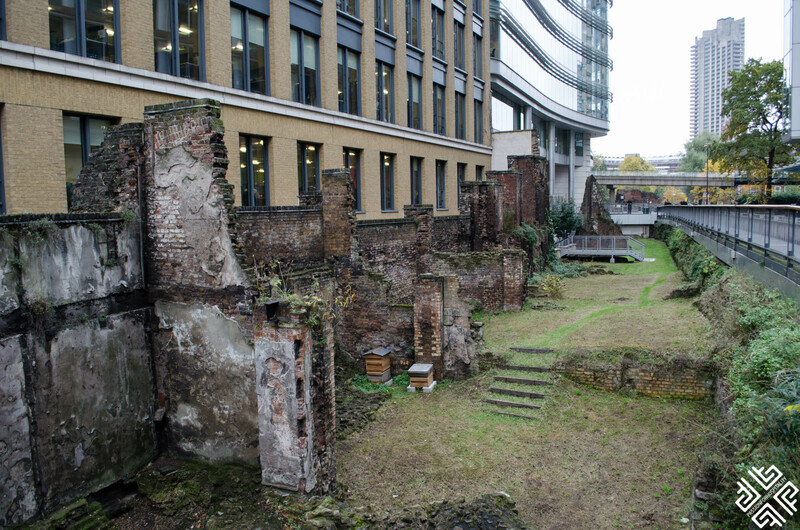 The Square Mile is fascinating indeed! We learned so much on this tour. Great pics and post.